תגיות: עלי גת, NOT 'JUST ANOTHER HOLOCAUST BOOK', the holocaust, השמדת יהודי אירופה, מרד גטו ורשה, Eli Gat, Shoah. 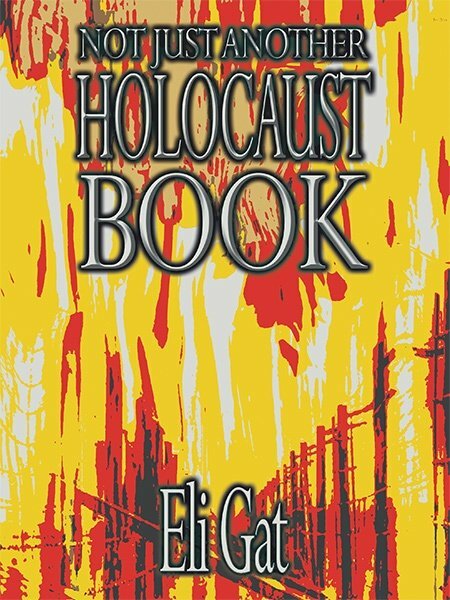 The book written by Eli Gat is not merely: ‘just one more book of memoirs from the Shoah’, despite the fact that he did indeed survive the Shoah and he does relate his story in this book. For many years I have been involved, on my own and in concert with Professor Zeev Lagueur and Dr. Chaim Shamir of Tel Aviv University, in research and lecturing on the subject of ‘The Nazi regime of oppression in occupied Europe’. Over the years I have read numerous books of memoirs written by Shoah survivors and have helped in the writing of five of them. This book by Eli Gat is distinctive in several respects. Firstly, Eli Gat was seven years old at the outbreak of the 2nd World War. Owing to the fact that he has an excellent memory – a photographic memory – and is blessed with exceptional literary skills, whoever reads his memoirs has the feeling that he is watching a movie. His dramatic personal story gives good reason for reading the book. However, there is much more in the book than his own personal story. Eli Gat’s portrayal of life in the ghetto is very different from the ‘traditional’ ghetto images to which we are accustomed. Eli describes the family life, the life of the community and the commercial life; Jews who used to come and go from the ghetto in order to work and make a living as though the German army was not in the area at all. The daily self-administration of the ghettoes was executed by the Jewish Council, the ‘Judenrat’ almost entirely without any intervention by the German authorities. Eli Gat grew up in the State of Israel, raised a family and worked for a living until his retirement. For many years he has delved deeply into Shoah historiography and has observed the work of organizations involved in preserving its memory and safeguarding against distortions of the Shoah. He has developed a very strong case censuring those who claim to keep the flame alive and has written about these ideas in his memoirs together with his reflections on a range of subjects such as: anti-Semitism, the Polish people and the Catholic Church, etc. A great deal of importance should be attributed to the author’s unique opinions which are contradictory to those that have been prevalent over the years on the question of how the Nazis succeeded in annihilating millions of Jews over a relatively short period of time using minimal manpower resources, and a relatively small amount of other resources. He also differs on the sweeping accusation of guilt that the Jewish people have laid on the entire German population. He depicts and explains in detail the singular and complex circumstances of three million Polish Jews and challenges the natural tendency to search for heroic acts of Jewish armed resistance during the years of the Shoah. This is all woven into the chapters of his captivating and moving personal memoirs. Eli Gat’s book is engaging, absorbing, informative and above all, thought provoking. One may disagree here and there but it is impossible to remain indifferent. That is his important contribution to the shelves of books written about the Shoah.